rnbjunkieofficial.com: Interview: Producer Mike City Discuss Biggest Hits, First Big Break In Music & More! Interview: Producer Mike City Discuss Biggest Hits, First Big Break In Music & More! TERRANCE: Talk about how you got your first big break in the music industry. MIKE CITY: It’s crazy because my first big break was on a rap artist by the name Rappin’ 4-Tay when he was on the Virgin record label and the song I produced “Money Makes the Man” actually became the first single from the album. That was my first major placement. Then after that I did Carl Thomas. We got together because we had a mutual friend. That’s how I was able to get “I Wish” in. TERRANCE: Can you share a little backstory behind three of the biggest hits you produced starting with “I Wish” for Carl Thomas. MIKE CITY: That was a true story. It really happened and I wrote about my pain. I didn’t know she was married and the whole nine and when she got sprung on me I was like, Wow! Is this serious? Well, everything happens for a reason. Ironically, Carl said he drew to it because it happened to him too, so that’s crazy within’ itself. Again, true story and it really happened. TERRANCE: Sunshine Anderson “Heard It All Before”. MIKE CITY: That would be a true story too and I know Sunshine because when I was leaving college that same year she was coming in so that’s how we crossed paths and everything. It’s funny because I knew her dudes from back then and that’s how we were able to come up with that (laughs). MIKE CITY: I just wanted to write something for Brandy that was magical and it’s crazy because it didn’t take me that long to do the track. I remember being in the Record Plant and she had stopped by and I was working on the track and she went to the Gravity Center and by the time she got back, I had the track and the hook done and she gave me one of these looks like Whoa! In five days me and Brandy had already been working so we had a good feel in our process and relationship. She went in the booth and cut the hook. It took me two weeks to write “Full Moon” the verses and the bridge and everyday I would get a call from her or Big John who was A&R of the project at the time and they would be like, are you done yet? Are you done yet? It consumed my whole two weeks and that’s all I did but I just wanted it to be so correct and accurate because remember she was coming off that monster album Never Say Never and I was like I got to make sure she have the right joint, so that’s what happened with that. 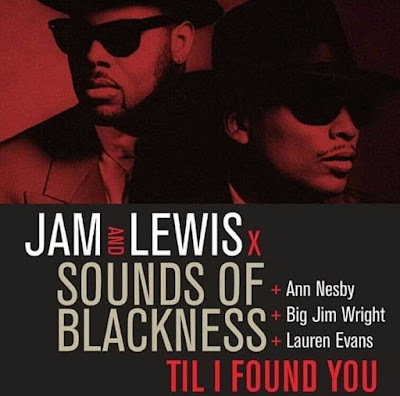 TERRANCE: One of your frequent collaborators is Faith Evans who recently duet with you on “When I Luv” from The Feel Good Agenda Vol. 1 album. What is it like working with her? MIKE CITY: It’s rather easy because she just has a friendly warm spirit and everything and outside of that she’s just a great artist and honestly it didn’t take her long to cut her vocals for “When I Luv”. Probably less than an hour. Seriously. TERRANCE: “Paradise” which features B. Slade and Karen Clark-Sheard is one of the standout cuts from Faith’s Incomparable album. MIKE CITY: Just think about the voices on there. You’re talking about three world-class singers like literally three top singers in the world so that’s a beautiful thing. TERRANCE: You produced for Karen as well. MIKE CITY: Yep. I got a chance to work with her back in the day on her 2nd Chance album on the song “Brand New Day” with Yolanda Adams and obviously I grew up on The Clark Sisters, so that goes without saying as well as The Winans and Commissioned, that’s like the basis of 90’s R&B. TERRANCE: Erica Campbell recently made a statement about embracing the digital world of music but can we give credit? As a songwriter/producer yourself, what’s your take on that? MIKE CITY: I mean, that’s important because I feel the thing with R&B is with digital and streaming it’s the genre that hurts the most. I remember we used to go to the store and buy records. That was tangible and an event to getting away like a whole outing process but now it’s not an event to get on your computer and login and type in the music you like so Erica has a point. There’s no personal connection, experience or energy with digital music. TERRANCE: What advice would you give to the aspiring songwriter/producer out there who aspire to do what you do? MIKE CITY: Honestly just do what you like. If you really want to make a name for yourself as a producer or a writer you have to really stand out in some type of way whatever the genre is. There’s a lot of dope trap producers but they have to stand out or else they just gonna be in the pile and it won’t mean much of anything. I was blessed and able to come through in a time where standing out meant a lot so when you heard a track you knew Mike City did that so standing out in the long run will help in you have a longer shelf life. TERRANCE: Anything not discussed you would like to leave for the readers? MIKE CITY: I appreciate you showing love for the whole culture man. It’s really important especially since you’re 32 so you’re right there. I love all types of music. I grew up on Hip Hop and House music. I grew up in Jersey and Philly so I was right there when it was poppin’. I like Trap music but I don’t want to hear it all day. I don’t want to hear nothing all day though. I’m an R&B dude, Hip Hop dude, House dude, it’s whatever and I put all of that energy together when I’m creating and everything. I did a Reggae record “Dem Haters” for Rihanna on her second album. But again I appreciate you for putting forth the effort because we got to keep R&B alive man it’s very important. I think it will come back around but it’s going to always come back to the soul and feeling of the music. 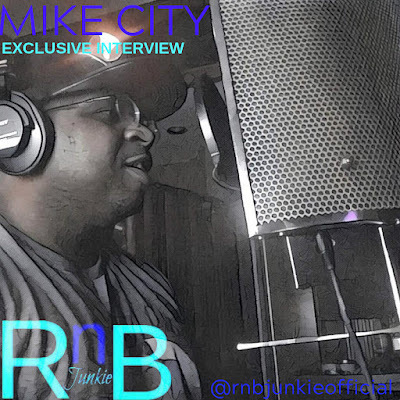 Created in 2015, www.rnbjunkieofficial.com was established to share and discuss Urban/R&B music and to give it a platform to be seen and heard. Music News: Tank Scores #1 Adult R&B Hit "Dirty" | Johnny Gill Scores Top 10 Adult R&B Hit "Soul of a Woman"
New Video: Monica - "Commitment"
(c) 2017 RnB Junkie Entertainment. Simple theme. Powered by Blogger.